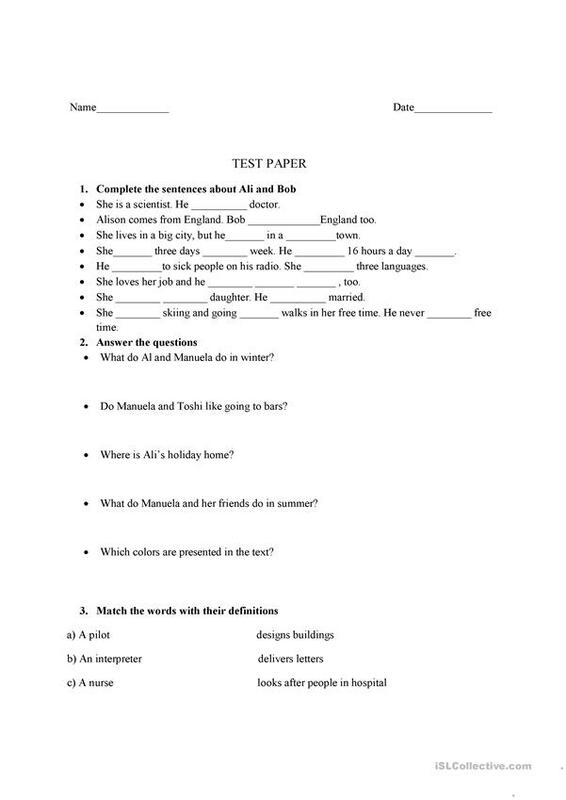 Here is a test paper for elementary level.The first two questions are based on "Headway elementary" book as I prepared this test for my students for the final semester. This downloadable handout is best suited for elementary school students at Elementary (A1) level. It is valuable for teaching Present continuous (progressive) tense in English, and is useful for improving your students' Writing skills.